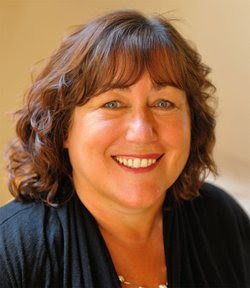 Today's interview is with best-selling U.K. thriller author, Rachel Abbott. Rachel has received a lot of good press recently about her rise to the top of Amazon's best-seller lists. This from her Amazon biography: "Rachel published Only the Innocent in November 2011. It raced up the UK charts to reach the top 100 within 12 weeks and quickly hit the #1 spot in the Amazon Kindle chart (all categories) and remained there for four weeks. 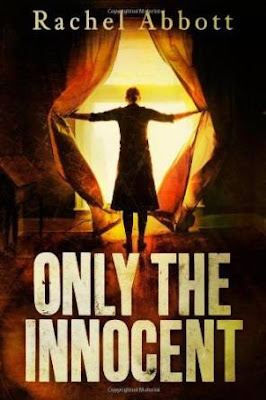 Originally, Only the Innocent was a self-published title, but since the success of the early version, the novel was re-edited and the new version was launched in the US by Thomas and Mercer in paperback, audio and Kindle versions on 5th February 2013, hitting the number one spot in the Kindle Store in August 2013. 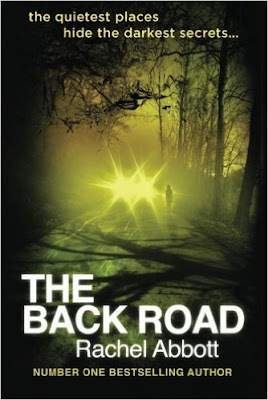 Her second book, The Back Road, was also published by Thomas and Mercer. 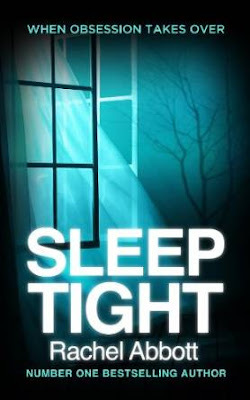 Her third book, Sleep Tight, was published in February 2014." Here is the interview, please make sure you check out Rachel's books and website and also subscribe (see link below) to this website to stay tuned for the next interview in the Secrets of Best-Selling Self-Published Authors interview series (next interview will be with best-selling fantasy author, Michael J Sullivan). An interesting question! I haven’t met many murderers as far as I know, but my books tend to be about the extremes of relationships – the dilemmas people face when they realize that things are not the way they thought they were. On that basis, I do think that my life experience has helped enormously. I like to people watch, and for my characters I take small personality quirks and expand them until they become threatening. Take the guy who watches his wife’s every move - he can’t take his eyes off her. What triggers would have to be pressed for this to become a dangerous obsession? Did you try to get publishing contracts for your books early on with traditional book publishers? If so, did you have any success there or, if not, what was it that made you decide to self-publish the majority of your work? I didn’t try very hard because I originally wrote for my own pleasure. Family members suggested I should try to find an agent, so I sent a few enquiry letters. The responses were encouraging, but nobody was actually ready to take my first book on. I didn’t do anything with it after that for quite a while, but when I saw that you could upload to the Kindle in the UK, I just thought I would give it a try – just to see what happened. I wasn’t expecting anything much at all, and so it wasn’t an active decision based on weighing up the options. It was merely the idea of ‘having a go’. Many other successful self-published authors have established themselves and hit the best-seller lists with ‘Series Books’ – your novels follow this trend in that the lead character of Detective Inspector Tom Douglas drives the story forward with each new book. Usually, authors/publishers brand their books along the lines of “A Detective Tom Douglas Thriller” etc. You seem to have bucked this trend by not labeling your books as a series, despite their obvious connections. You have had great success with your books but I wondered why you haven’t been more obvious about calling your books a ‘series’? What are your thoughts on this and how important do you think series books are for self-published authors in establishing themselves and in regards to hitting the best-seller charts? I love Tom Douglas, but I don’t consider my books to be principally about him. They are about the victims or the perpetrators of the crimes. Because most of my books involve murder, I usually feel the story is helped by the involvement of a policeman, and I have kept to the same character throughout. But when I think of ideas for my books, Tom doesn’t figure in the thinking. It’s the relationships and the crime that drive the books. Having said that, I have introduced quite a bit of Tom’s personal life, and readers seem to enjoy it. And so for now I will continue to do that. I am not sure whether it’s necessary to have a series. I think if you like an author’s writing style it doesn’t matter whether the same characters are in all of them or not. That only begins to matter if they have a developing story of their own – so the reader becomes interested in what is going to happen to them next. Is diversification something you see as a growing necessity for contemporary self-published/indie authors, or is specialization (genre focus) more important in your opinion? If so/not please explain why. It differs for each individual. In my case, I have an incredibly loyal band of readers who enjoy my books. If I suddenly started to write in some entirely different genre, I think they would be confused. If a writer has achieved success in a genre, it makes sense to continue writing for the same audience. But at the same time, if you enjoy the whole process of writing, you need to write from the heart and if that leads you in a different direction, you may feel you have to follow it. You have previously written about how you go about soliciting reviews for your books. Has the way you gather reviews changed since you started publishing or is there still one method you find to be of the most use for getting good quality reviews? There are three main sources of reviews for my books, and without a doubt the most important source is the reader – the person who has bought my book, has sat down and read it. But it takes time for those reviews to appear, and it is very useful to have some reviews available at launch. With that in mind, I use two sources – early readers and bloggers. The early readers are people who have been quite chatty about their enjoyment of my books, and I choose a small number for advance copies in return for an honest review. I also approach bloggers – I have a database of them – and ask if they would consider writing a review. Is there any one thing that you have determined has helped you sell more books – i.e. could you outline your path to establishing your brand and your most successful sales method/s? I am asked this question more than any other, and the truth is that the most successful sales method changes with every single book – because things move on so quickly. The most important thing is to raise awareness of your book – and you need to use whatever means you can. People say to me that Facebook and Twitter ads are a waste of time, because they cost as much as you might make on a book sale. But that is slightly missing the point. I recently ran an experiment with Twitter ads. 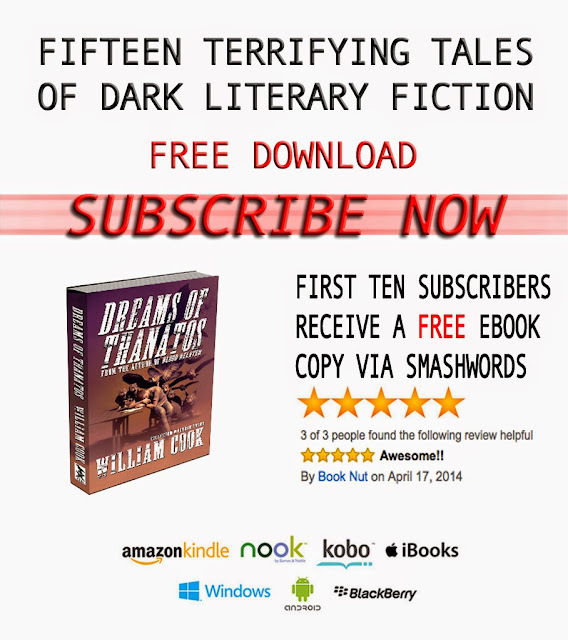 One of my books was in a US promotion, so I ran some ads. The book rose up 300 places in the charts overnight and sales tripled. However, the number of click through on Twitter was far LESS than the increase in sales. The fact is that as the book rose up the charts with the small number of Twitter click through, it became more visible – more people became aware of it. So the majority of additional sales were from people who, until that point, hadn’t noticed the book. 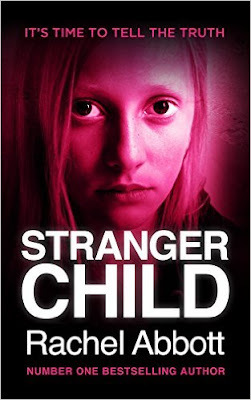 Who designs your book covers and promotional material? How important do you think cover design is to a potential reader and how big a part do you think it has played in your success to date? My book covers are designed by a young man who used to work for me when I ran an interactive media company. I gave him his first job after university, and he’s still working for the company at a very senior level twenty years later. He’s a complete star! But he’s a very busy man, and so while he does the cover design, he no longer has time to do the promotional material. We’re currently looking for somebody to take on that task. People often say that you don’t sell books because of the cover, but I disagree. It’s back to the awareness point. If your cover is attractive, people will notice it and begin to recognise it – and hopefully will be sufficiently interested to take a look. I don’t think for a minute that traditional publishing is on the way out, and I would be very sad if that were the case. Traditional publishers do a great job, and when I am asked for my advice from other writers I often say that they should try traditional publishing first. Self-publishing is not going to work for everybody, and the traditional route is tried and tested. Do you use other online publishers as an alternative to Amazon’s KDP and Createspace platforms? I.e. do you feel that it is necessary for self-published authors to use as many avenues in order to widely publicize and market their books to potential readers? I used to make my books available on as many eBook retail sites as possible. But I now only sell on Amazon because in return for that I get better opportunities to promote my books. I don’t tend to use CreateSpace – although I have done. I now have my books professionally printed in bulk, so that I am able to distribute to bookstores. I never say never! At the moment, things are going well for me – but it is hard work. I am at my desk seven days a week, and sometimes the idea of somebody taking all of the extra stuff off my hands is very appealing. Who knows what the future will bring? Five years ago I hadn’t published my first book, so I have no idea what the next five years will bring. I have never given my books away for free (other than to people I meet or know, of course). I haven’t found it necessary. I do know that some people have gained success that way – they have found that by giving away some of their books they build a readership who will then buy their books – but it’s not something I have ever been tempted to try. Lots of changes have been occurring within Amazon’s KDP program/s (Select, Unlimited, Countdown etc.) over the past couple of years – do you feel that it is still possible for hard-working, self-published authors who write great stories, to become best-sellers by remaining exclusively with Amazon? Absolutely. But it’s not necessary to remain exclusively with Amazon. There are advantages, and for the moment – for me at least – they outweigh the disadvantages. But if the story is good and captures people’s imagination, in the end it comes down to the ability to get the book noticed. And that’s the hard bit. I suppose I would have to say it’s being my own boss. I work in conjunction with my agent who gives an amazing amount of advice based on her extensive experience. But between us we can decide not only the right schedule for publishing new titles, but also the right time to put books in promotions. We choose the cover, the title, write the blurb – and I might find it difficult to relinquish control. I have to admit that also it is commercially very viable for me to be self-published, and at present that is attractive. You took early retirement from a career in law and began your new career as an author. The fact that you took early retirement and moved to the Mediterranean begs the question as to whether your success has been helped by having a generous budget at your disposal to market your books. I.e. the old adage seems to apply that one has to ‘spend money to make money’ as evidenced by the likes of Mark Dawson who is quite open about spending 3-500 $/£ a day on Facebook advertising to boost his profile and his book sales. Do you think that a self-published author has to have a decent marketing budget in order to achieve success and hit the best-seller charts with the amount of competition out there currently? It may surprise you to know that I had no marketing budget at all when I started writing. I do have now, but when I launched Only the Innocent I had just me – nobody helping me at all – a very old computer and a lot of extremely hard work. I don’t think I spent a single penny on marketing for at least a year, and now I spend very little on advertising. The majority of my marketing budget goes on people now – I have a couple of part time assistants who take away a lot of the day to day work leaving me free to write. It’s definitely one way of doing it – and the way that people seem to prefer. But there are other ways too. I have met people who have come up with totally different marketing ideas based around the content of their books. They write articles on an appropriate subject from their stories, aimed at those interested in the background to the content, rather than the genre of book, and they target clubs and groups who have similar interests. Social media is the means most often talked about, but I think self-published authors need to be open-minded about all marketing options. I was signed by Lizzy Kremer of David Higham Associates when Only the Innocent became a best seller, and having an agent is probably the best decision I ever made. She is a huge help to me in so many ways, from editing my work to advising me on publicity, jackets, titles and generally keeping me focused. For the moment, the plan is to remain self-published because it seems to be going well and so it’s probably best not to make too many changes. But who knows what will happen in the future. Before you start to go down this road you need to ask yourself what success looks like to you, and then base your business plan on that. What matters most to you – number of readers, amount of money made, critical success? Once you know that, you can work out how to pursue that dream. But you need a plan. If I could do it all again I would do two things differently – I would write a marketing plan before I started, rather than two months after launch – and I would eat far fewer chocolate biscuits, the only thing that kept me going as I sat at the computer for fourteen hours a day trying to market my book! Other than that, I wouldn’t change a thing. All my books are available in both eBook and paperback from Amazon, but the printed books can be ordered from most good bookstores. The following links go straight to your local Amazon online store.